Employing a real hippo for promotions may sound funny and surreal, isn’t it? However, you can still cling to your theme of employing a hippo for marketing by availing this custom hippo shape bottle opener keychain. 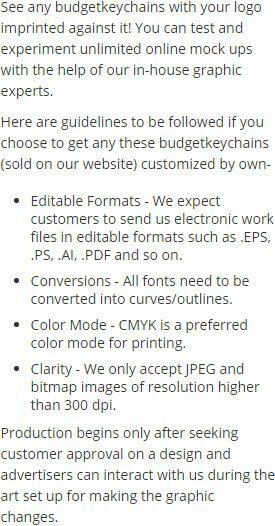 This key chain can be used for marketing restaurants, hotels, party supplies, zoos, amusement parks, beer parlors, pet supplies, and many more. You can hand it out as an anniversary token or acknowledgement gift during marketing events. Most small budget marketers find it affordable and they have been using it for mass gifting because we offer attractive discounts on such orders. 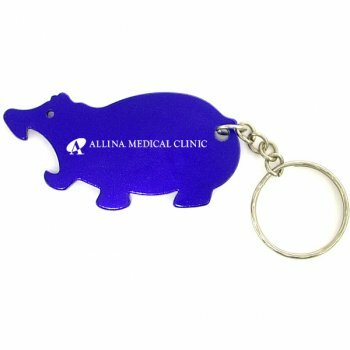 Request a quote to know wholesale discounts for this promotional hippo shape bottle opener keychain. Features – Hippo shaped aluminum body in metallic finish. Product Size – 2 3/8" x 1 1/8" ". Available Colors - Metallic Black, Metallic Red, Metallic Blue, Metallic Green, Metallic Gold, Metallic Purple and Metallic Silver. Imprint Method – Printed, Laser Engraving & Full Color Process. Product Size :2 3/8" x 1 1/8"